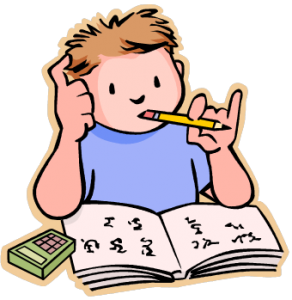 The purpose of homework is to provide additional reinforcement and application of topics and learning presented in class. No homework will ever be given in which the student has not been taught or checked for understanding. In class time is usually provided for each assignment so that the child may begin the assignment, the teacher can check for individual understanding, and the child may have the opportunity to ask the teacher for assistance. Effort put towards homework time both in class and at home can help a child be successful in reaching their learning goals. By using in class time wisely and responsibly, your child has the opportunity to use over 90 minutes each day for homework, help, and study time. If time is not spent wisely in class, then additional homework time may be needed. At home, homework time continues the assignments of the day. Homework time also provides opportunities for students to work on daily review of subject areas for upcoming tests, organization of materials, and focus on more long-term assignments. Homework time is basically divided into two parts. The first 30 minutes should focus on any written assignments not completed in class. This time can also include the completion, rewriting, and editing of assignments to correct mistakes identified in class. The last 20 minutes of homework time should be placed towards studying for upcoming tests and reading for book reports. All homework is given verbally, written on the homework board, and is written in your child’s personal homework assignment book. For long-term projects, dates will be discussed and given ahead of the time they are due. All homework assignments are due the next day unless otherwise directed. Any homework not turned in on time or considered ‘missing’ will receive 0 points. All homework is to be written in blue or black ink only. All spelling work is to be done incursive handwriting. Math work is to be done in pencil. It is expected that all class work and homework is to be neat and legible. Make-up work due to absence is given one day for each absence day to make up the work. An absent folder will be used to collect any handouts, information, etc. for your child. No tests are given on Monday. All tests will be signed by parents. At least a one weeks notice will be given before test date. Please check the monthly Fifth Grade Calendar for test dates in all subjects. Without a complete name on an assignment the student will receive half credit. Create an appropriate learning space which is free from distractions, quiet, and has room to work comfortably. Get a timer and focus your child on short time periods of work. 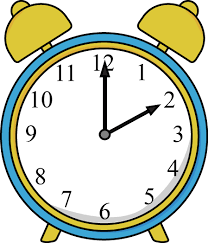 Have your child estimate the amount of time needed to complete a subject and set the timer. Allow your child a break between subjects to stretch or eat. This gives their body the energy needed to refocus. The total amount of actual working homework time should not exceed 50 minutes for a fifth grader. This time is regulated by both teachers, and we will not give any assignment which we feel will need additional time at home beyond the 50 minutes assigned. EDIT your child’s work, but DO NOT DO IT FOR THEM! Your child needs to learn on their own. If you give answers, or write things the way YOU think it should be you are only making your child more dependent on you, and less responsible for their own learning. How did your child use their class time that day? Check assignments for ‘C.W.T.’ (classroom work time) and ask them what they did. While at home, is the T.V. radio, or computer on? Are they using the phone too much? Are siblings disturbing them? If so … remove the distractions, or find a quiet place for your child to work. Does your child need more than 50 minutes to complete assignments? Each child is unique and yours may need an additional amount of time. That’s OK. It is better for your child to take their time and do something correctly, then to speed through and not understand at all. Please contact the teacher if you find this is true. We can work together to help. Is your child having difficulty? STOP! Write the teacher a note, or give them a call the next day. Working together we will be able to find a solution to help your child achieve. Are there concerns with assignments in math? Please contact Mrs. Croff for help. Is your child not beginning homework in school as time is given? Why? Do they want you to do it for them or need your approval for each assignment? Help them break this pattern and insist they do it without you. Encourage them to work independently at home, but let me know what is going on so I can focus their time more wisely in class. Talk to the teachers if there is a concern about the nightly time spent on homework and all of the above topics have been considered. We are human and may need to hear from you, so we can know and adjust the amount of homework time given.